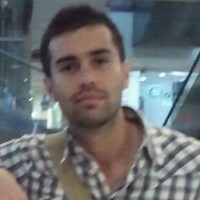 About me: Developer and consultant engineer for Consultora Nivel7 Ltda. This is more like a critical bug, as other users can not see the registered users profile. does it work on Google Apps for Business too? You don't have permission to access /google_login on this server. I have checked and cURL is enabled (libcurl/7.21.6 OpenSSL/0.9.8r zlib/1.2.3 libidn/0.6.5). Have you ever seen this problem? Great news guys, it's a relief to know that the plugin is not crashing. Regards!